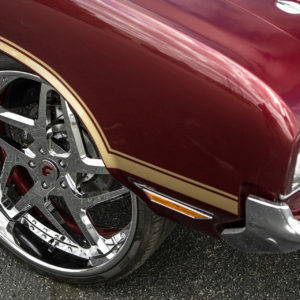 The General Motors A-Body platform will always hold a special place in the hearts of automotive enthusiasts in the South. 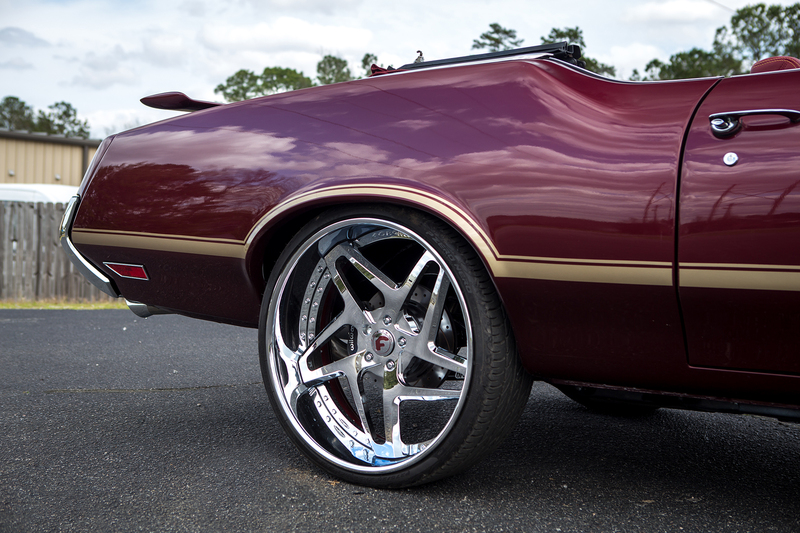 Its timeless lines and fusion between muscle and class will never go out of style and examples such as this cranberry Cutty is proof. 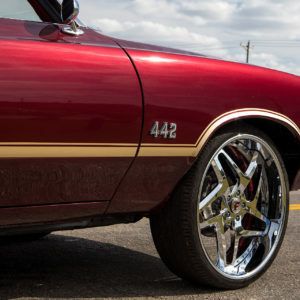 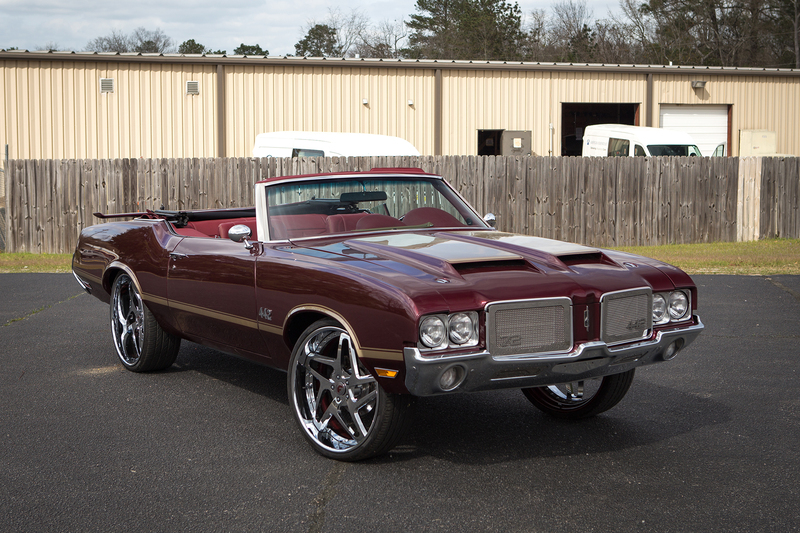 Owned by @North365, this Oldsmobile 442 Cutlass has been completely overhauled in clean and classy theme with some attractive touches hardly ever incorporated into an old school custom ride. 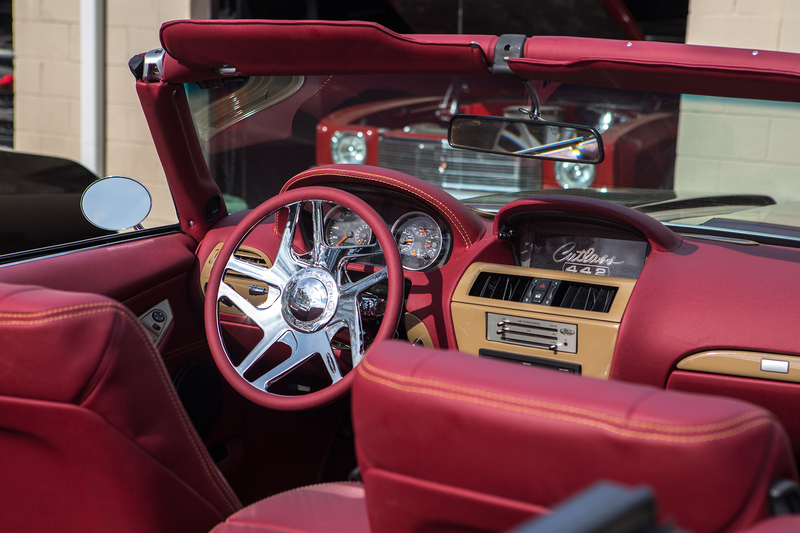 Going inside first, @stitchedbyslick went all out with this build. 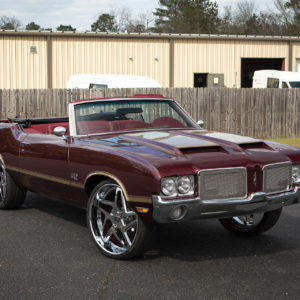 The original Oldsmobile guts were discarded for a complete swap from a BMW 645i, right down to the dash and gauges! 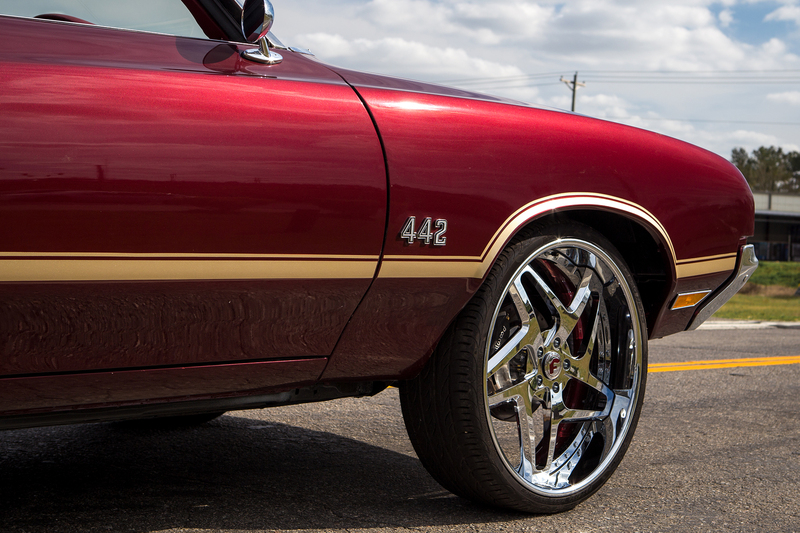 Under the hood, an LSx between the frame rails. 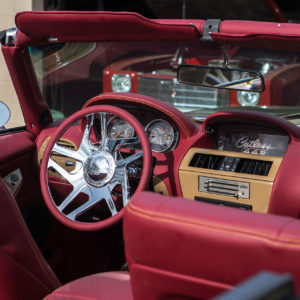 The exterior boasts a custom cranberry and gold candy paint scheme. 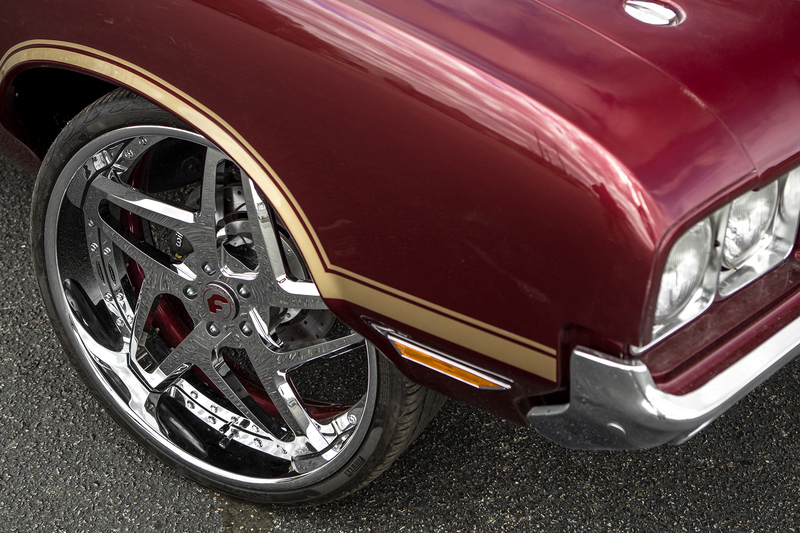 Underneath the pronounced fenders are a set of 24-inch Forgiato F211 wheels, covered in chrome. 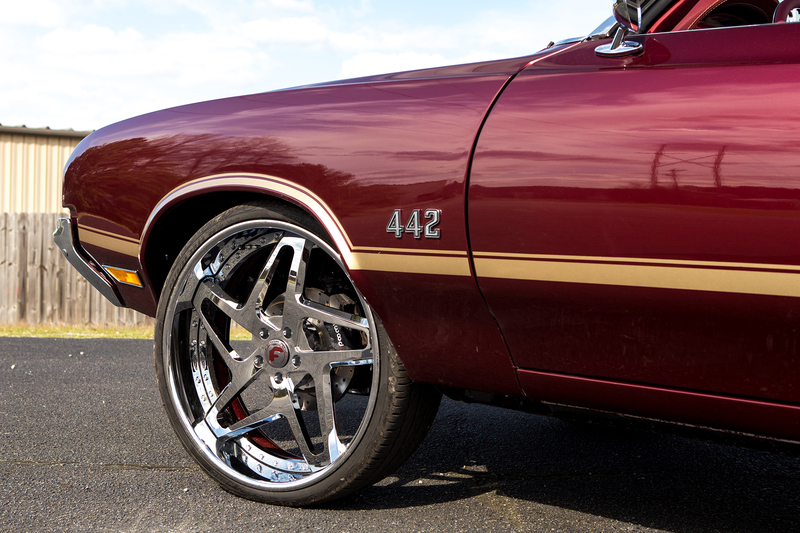 Peeking behind the Forgiatos is a set of Wilwood disc brakes to ensure this custom muscle car comes to a halt when commanded.